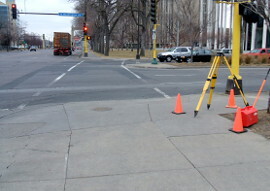 Topographic survey of in-place Washington Avenue in Minneapolis between Hennepin Avenue and Portland Avenue to be used as a base map for reconstruction of Washington Avenue. 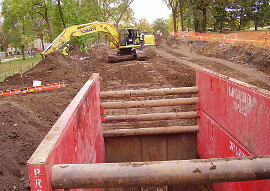 This Hennepin County project used MicroStation. 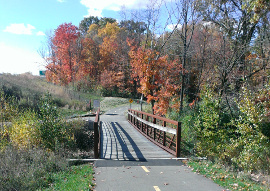 HTPO provided civil engineering, land surveying, and landscape architecture services for this project. 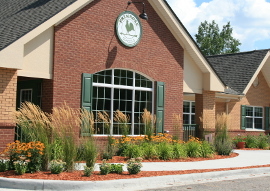 Our scope of work included design survey, vegetation management, utility and site design, landscaping, utility coordination, and construction staking. 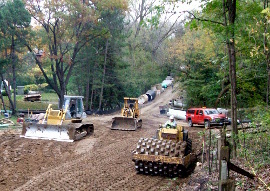 HTPO provided civil engineering and land surveying for gravity and forcemain sanitary sewer including a wastewater pumping station. 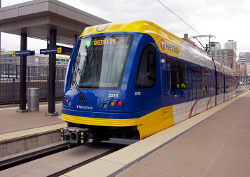 This project is for the State of Minnesota. HTPO provided control survey to establish vertical and horizontal control lines and construction staking for the layout of rails and station platforms and vertical circulation. 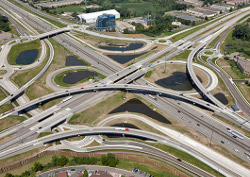 HTPO provided vegetation management and construction surveying for bridges, ramps, roadways, roundabouts, noise walls, retaining walls, and underground utilities for the re-building of the 169/494 interchange. 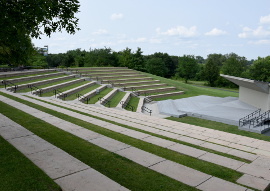 Multi-phased improvements for Staring Lake Park have included ADA accessible playground area, open air amphitheater, utilities, lighted ballfield, parking lot and sledding hill. 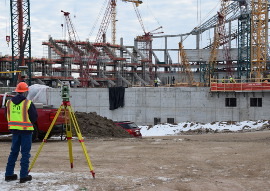 HTPO is providing boundary and topographic survey, erosion & sediment control design, SWPPP, and construction observation for this 25-acre public stadium site redevelopment. 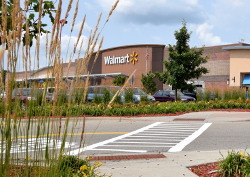 HTPO provided project management, civil engineering, land surveying, and landscape architecture associated with multiple site developments for this national retailer. 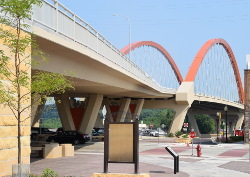 This project consisted of a feasibility report and development of construction documents - site plan, demolition plan, street and utilities profile plans, and storm water pollution prevention plan (SWPPP). 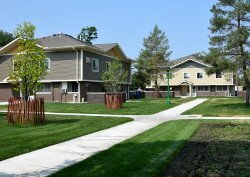 HTPO provided boundary and topographic survey, master planning, and phased construction plans for this Public Housing remodel project.